Very nice and soft pillow set. They are comfortable and fluff up nicely. I did fluff them and let the sit on a table to 24 hours prior to using them the first time. I am going to order another set for the guest room. I couldn't be happier with the Beauty Rest Black pillows. This pair of Beautyrest Black Pillows are generously filled with DACRON FOAMESSENCE memory fiber, and designed with the back and side sleeper in mind. The houndstooth jacquard covers are made with soft, 300-thread count 100 cotton fabric, to create a surface that will guarantee you peaceful sleep, night after night. Pillows Arrived quickly in a two pack. They are made for sleeper who sleep on any side. I slept on these pillows at a friend's home and had such a good sleep that I had to order them for myself. So far I am pleased with this purchase . 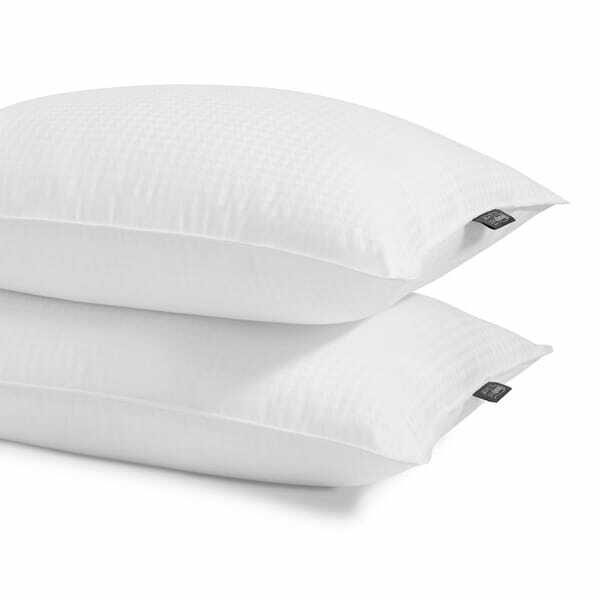 Best Pillows i ever purchased amazing value final got a pillow that didn't hurt my neck and a good nights rest Thank's Again Overstock ! Perfect pillows. Super comfortable. I’m more of a harder pillow person and was quite skeptical of these but they are perfect. We will for sure be getting these again. I like pillows. These are good pillows. Super comfy! Almost perfect! Just wish they were a tiny bit thicker and that I bought an additional set for my girlfriend, who’s somehow wakes up with all the pillows. My guests wanted to know where I got them because they were so comfortable. These pillows maintain their firmness and they don't hurt my neck like previous pillows. Did not keep the fluff to them as long as i would have liked. "When will they be back in stock?" Tried them before like them. Slept on this pillow in a vacation rental and loved it. Knew I'd purchase it when I got home.